The quality of your indoor air can have a surprising impact on your overall health. If there's lots of dirt, dust, dander, and other particulates floating around in your living environment, you'll have a much higher likelihood of developing respiratory issues. Moreover, these common, indoor contaminants are virtually guaranteed to exacerbate existing ailments like asthma, chronic allergies, and emphysema. Fortunately, there are two, easy ways to clean these and other toxins or irritants out. Many consumers are spending the majority of their days in tightly sealed environments. When they want to cool off, they simply turn the air conditioner or the fan on. These closed systems have a tendency to trap and recirculate the same toxins and contaminants over and over again. This is especially true when HVAC filters aren't regularly replaced or cleaned. To instantly boost the quality of your indoor air, simply open your windows and let clean, fresh air flow in for at least five to 10 minutes each day. This is especially good to do right when cleaning solutions like surface disinfectants and furniture polish are being disbursed. In addition to ventilating the home by routinely opening up the windows and doors, you may want to invest in special, dust-blocking window treatments. There are a number of shades and blinds that are specially designed to prevent the ingress of airborne particulates. In most households, the greatest concentrations of allergens are found directly in the carpeting. Rather than being lightly trapped within the topmost fibers of these surfaces, however, dust and pet dander can also be deeply ground in to the underlying padding. 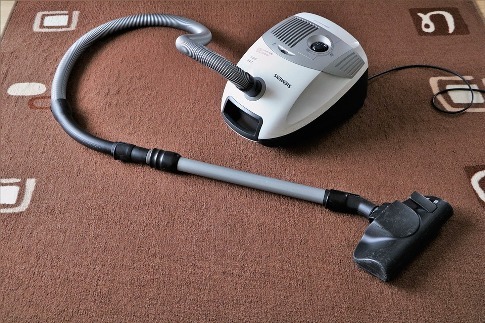 Professional carpet cleaning services in Palatine IL use powerful, truck-mounted systems that can extract harmful particulates from both the carpets themselves, and the padding beneath them. These treatments should be performed at least once every three to six months if you have pets, and if you have anyone with an existing respiratory condition living in the home. You can also put down a dust collecting doormat and have people take their shoes off upon entering your abode to prevent them from bringing outside debris in.